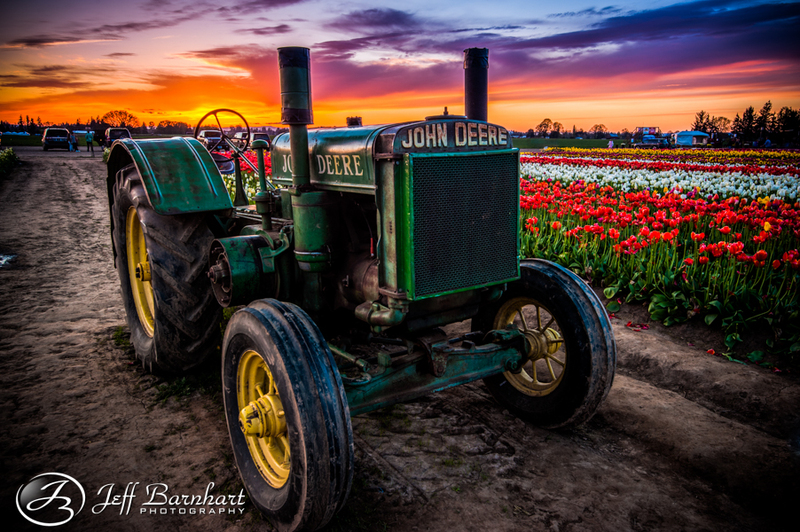 Jeff Barnhart Photography Blog - Tulip Time! 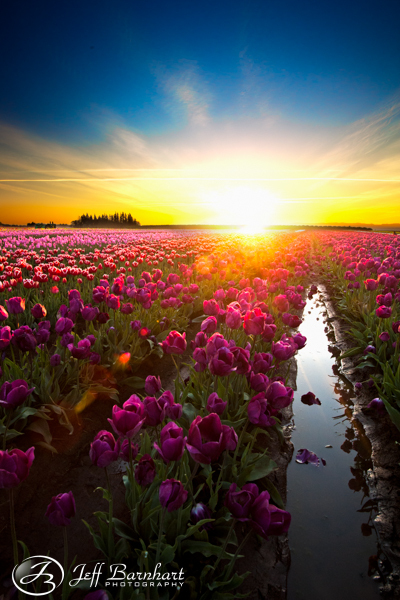 The Wooden Shoe Tulip Festival is one my favorite events of the year. Every year they rotate the location of the field, so it’s a great opportunity to develop my skills and try to see something similar in a new way. As you can tell, I love bold colors, and here I get the opportunity to work with a wide range of them. After looking over the layout of the field, I was less than inspired by the location of the wind mill, so I decided to focus on getting a couple shots of the two tractors. The green one below has been a staple of the festival as long as I’ve been coming here, but I’d never really found a shot I really liked. I always saw it as a HDR (High Dynamic Range) photo, but until recently I wasn’t very skilled at it. Shooting for HDR is a phase of that most beginner photographers go through, and I recommend getting past it as soon as possible. HDR is an advanced processing technique, and for those who are new to photography, your time is better spent learning composition, and/or the basics of photo processing. That way when you do have the skill, you’ll know how to make the adjustments to your photo to get exactly what you want. If you don’t learn the basics you’ll just end up using some automatic HDR program; some of your shots will turn out great, many will be awful, and you’ll have no idea how to fix them. This year was the 4th rotation of the fields, and appears to be the last rotation before the field returns to its original position. Each rotation brings exponentially more photographers, and it’s crazy how much this festival has exploded in popularity! I remember 3 years ago there were probably less than 20 photographers shooting any given sunrise. This year it was easily over 100. Perhaps even more than 150 or 200! 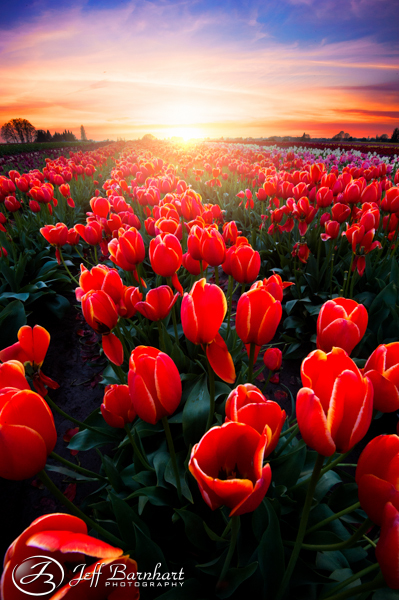 I’m not sure of the exact number because I was too busy doing this, tucked deep within in the tulip field! My second objective this year was to look for complimentary colors. For those who are unfamiliar with complimentary colors, they are colors on the opposite side of the color wheel. Finding these together can make for truly beautiful art. With the vast array of colors in the field, the most difficult part is finding a composition where the colors in the field are the opposite of the sky, and then hope it’s not already taken. LOL. Also, as one might imagine, my third objective was to capture the bold, beautiful colors with a stunning sunset. Haha, right? Pretty straight forward. I actually met my friend Dan Sherman Photography this evening. He was late getting to this party, but the sunset was so wonderful this evening that we were both able to capture some nice images. 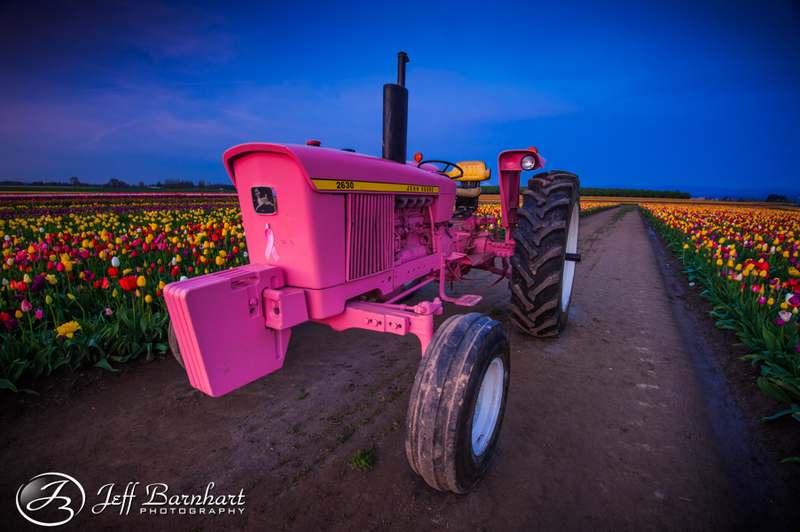 I took the one below right before Dan arrived, and the one of the pink tractor above was actually taken on the same evening, looking the opposite direction 15 minutes later. 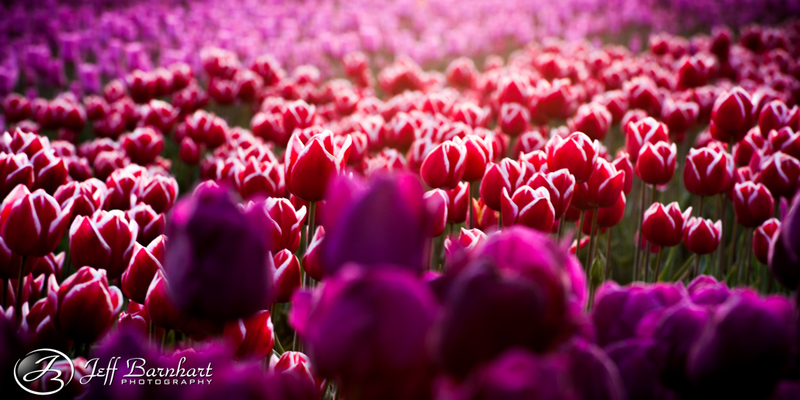 There are a few other tulip shots in my “Recent” gallery, so check them out! Just click on "Portfolio", then "Landscapes" above! 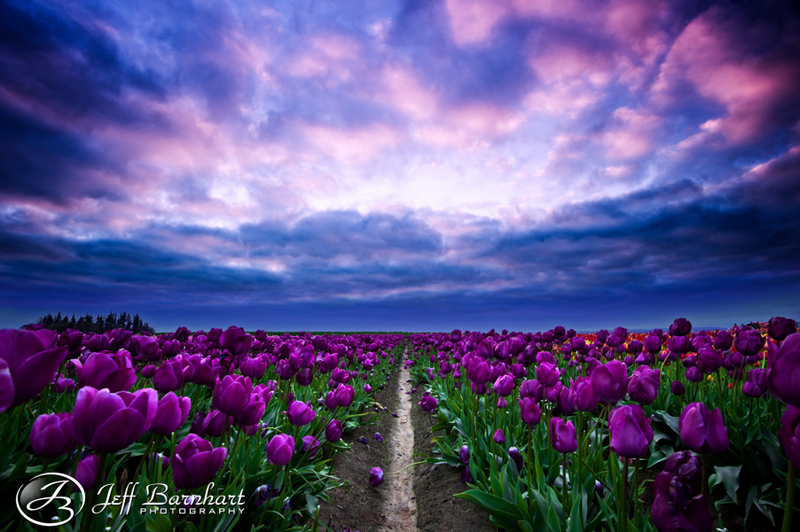 The tulip festival is winding down, so here is one last photo until next year!